Those 12 Thai Kids: What do YOU think? There are 6 replies in this Thread. The last Post ( Jul 13th 2018 ) by EJLarson. 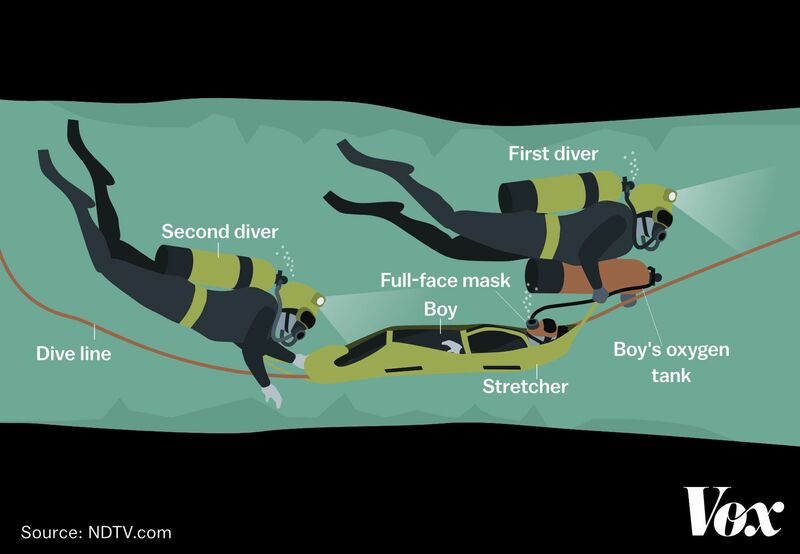 12 Thai Kids trapped in underground flooded caves. With just a FEW members thus far (on my Website / Forum), few things have ever "taken off" like this issue! than the safe rescue of those 12 young guys. I believe it is a miracle that they all came out alive and I hope they won't suffer of PTSD. I think I would have been scared to death given the circumstances. I was surprised to hear they were taken out sedated and in a sort of stretcher - I hope this spared them part of the trauma. The rescuers were extremely brave, too! In any case, the boys' coach should be put under process for putting in such risk the lives of these children. The entire world watched and hoped for the safe return of these boys. Many brave people worked tirelessly to save them, starting with the Thai navy seal diver who died. I agree with serafina — I’d have been paralyzed with fear. No escape option seemed good, with the very narrow underwater passages and strong currents. Yet staying there, running low on oxygen and waiting for monsoon rains to raise the water level, wasn’t a possibility. Bravo that they are all above ground now!
" 'In any case, the boys' coach should be put under process for putting in such risk the lives of these children.' "
apparent incompetence with regard to taking those boys into the caves in the first place. hint that the coach could be, might be, negligent in his actions which resulted in those boys venturing into the caves. I am personally of the opinion he was more than just negligent or incompetent; his decision to take those 12 boys into those caves was an "act"
most unfitting an individual who had been entrusted with the "care" and/or guidance of those 12 young individuals. absolutely furious; and I would be well on my way to paving the way towards that man being fully prosecuted for his careless action/decision. Not quite sure what you mean by "under process"
I meant that a claim should be filed against him in court, as he should be held accountable for everything that happened, including the death of the rescuer, the trauma suffered by the children, the enormous operation carried out to take them out alive, the psychological consequences they will suffer forever from this tragedy. 'Under process' is a literal direct translation from 'procesado' in Spanish, which means 'charged with'...(sic). 'Esta procesado' he/she is charged with doing whatever. Hard to see where anyone gets better by hounding him after the fact.